Orion’s Price: Now available for pre-order! 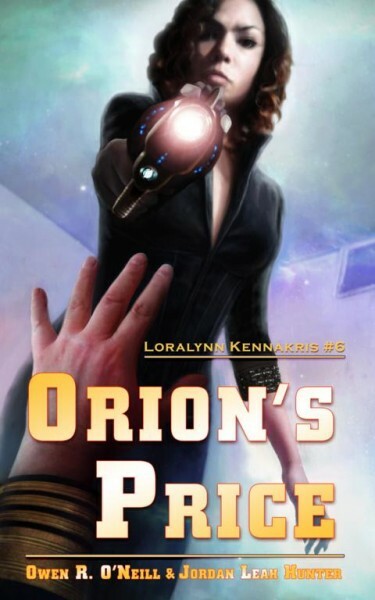 The next book in our series, Orion’s Price, is now available for pre-order on Amazon! https://www.amazon.com/dp/B079J4ZSWW The release date is Mar 3rd! Thank you all for your support while we got this book published! It is most deeply appreciated! Posted in: Announcements, Orion's Price. Very nice cover. I think my favorite for the series so far, even. Not sure how much I’ll like a changed POV and the idea of some, well, celebrity randomly being capable of rescuing anyone, but we’ll see. Nice that it’ll be out quickly. Thank you for the compliment on the cover. Very happy to hear that! We hope it measures up.